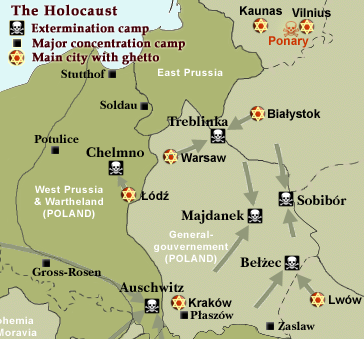 Belzec, Polish spelling Bełżec [ˈbɛu̯ʐɛt​͡s], was the first of the Nazi German extermination camps created for implementing Operation Reinhard during the Holocaust. Operating in 1942, the camp was situated in occupied Poland about half a mile south of the local railroad station of Bełżec in the Lublin district of the General Government. 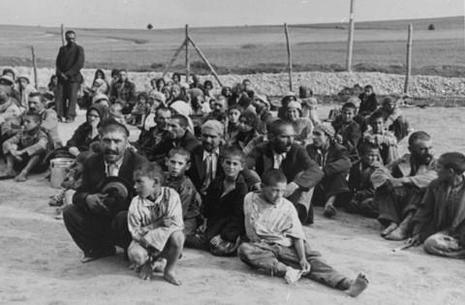 At least 434,500 Jews were killed at Bełżec, along with an unknown number of other Poles and Roma; only two Jews are known to have survived Bełżec: Rudolf Reder and Chaim Hirszman. The lack of survivors may be the reason why this camp is so little known despite its number of victims. Belzec extermination camp, the model for two others in the 'Aktion Reinhard' murder program, started as a labor camp in April 1940, after the abandonement of the plan to enlarge the Lublin reservation in the same area. Belzec was situated in the Lublin district forty-seven miles north of the major city of Lvov, conveniently between the large Jewish populations of south east Poland and eastern Galicia. On 13 October 1941, Heinrich Himmler gave SS and Police Leader Lublin, SS Brigadefuehrer Odilo Globocnik, two orders in a conference, which were closely connected with each other: to start Germanizing the area around Zamość and to start work on the first extermination camp in the General Government near Bełżec. The site was chosen for three reasons: it was situated at the border between the districts Lublin and Galicia, thus indicating its purpose to serve as a killing site for the Jews of both districts; for reasons of transport it lay next to the railroad and the main road between Lublin and Lvov; the northern boundary of the planned death camp was the anti-tank ditch dug a year before by Jewish slave workers of the former forced labour camp. The ditch, originally excavated for military reasons, was likely to serve as the first mass grave. Globocnik's construction expert SS Obersturmfuehrer Richard Thomalla commenced work in early November 1941, using Polish villagers, Globocnik's Trawniki men and, later, Jewish slave workers. The installation was finished by early March 1942. Belzec extermination camp, the model for two others in the 'Aktion Reinhard' murder program, started as a labor camp in April 1940. Belzec was situated in the Lublin district forty-seven miles north of the major city of Lvov, conveniently between the large Jewish populations of south east Poland and eastern Galicia. 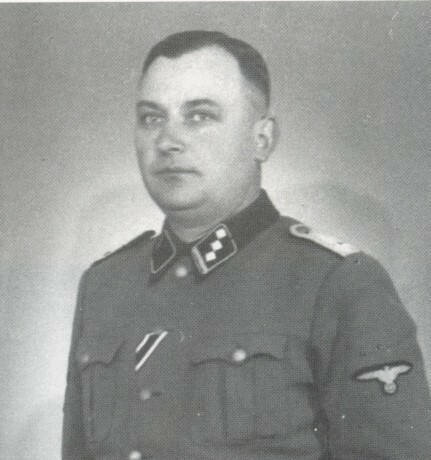 The first commandant of Belzec was SS Colonel General Christian Wirth, a former police officer who had played a leading role in implementing the T4 "euthanasiaprogram". Wirth developed his own ideas on the basis of the experience he had gained in the "Euthanasia" program and decided to supply the fixed gas chamber with gas produced by the internal-combustion engine of a motorcar. Wirth rejected Cyanide B which was later used at Auschwitz. This gas was produced by private firms and its extensive use in Belzec might have aroused suspicion and led to problems of supply. He therefore preferred a system of extermination based on ordinary, universally available gasoline and diesel fuel.